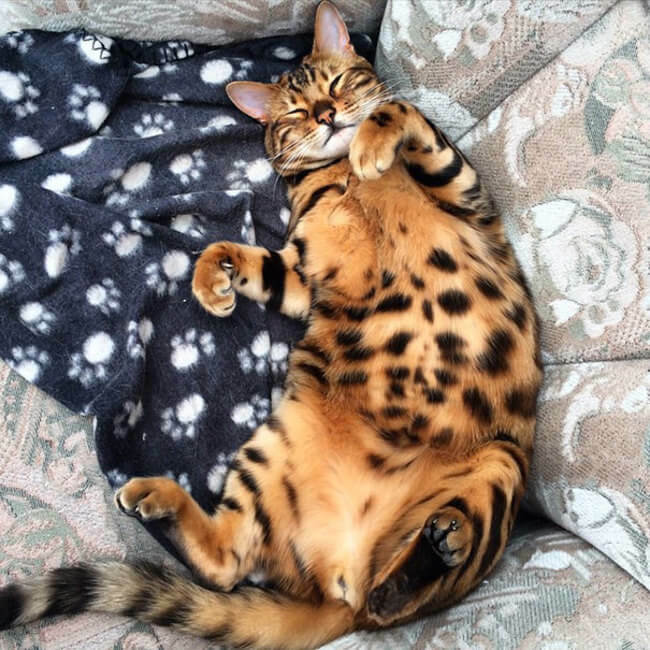 This Bengal cat looks totally unreal! 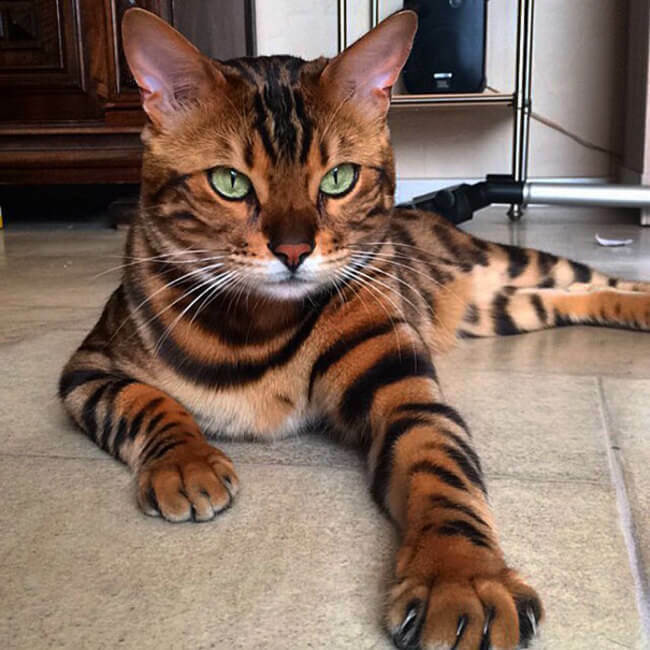 He looks almost like a drawing of a house cat mixed with a tiger. 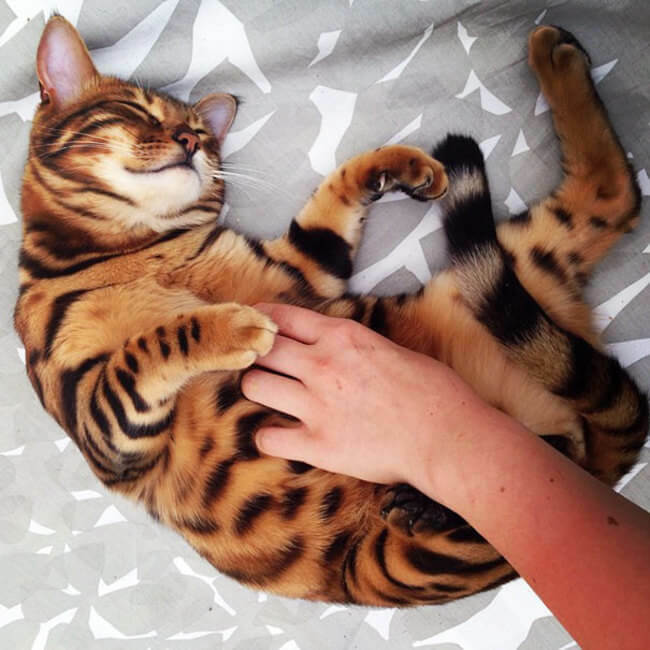 But actually, this cat is very real. 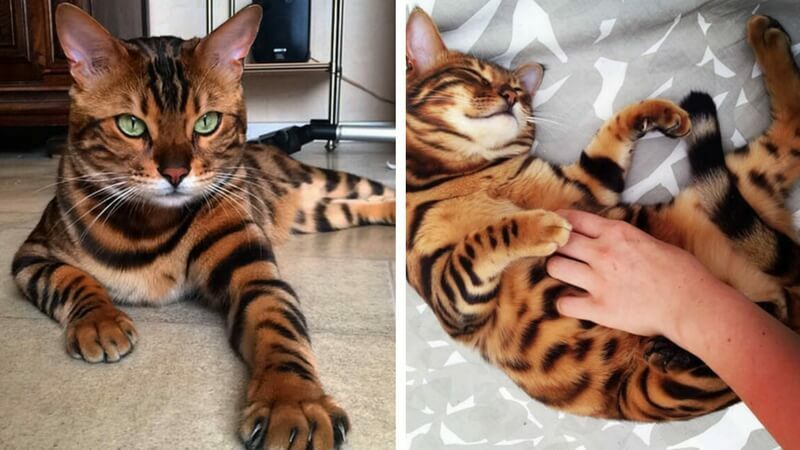 This is Thor, an absolutely enchanting cat who is taking the internet by storm. Thor has the most piercing eyes that can see right into your soul. 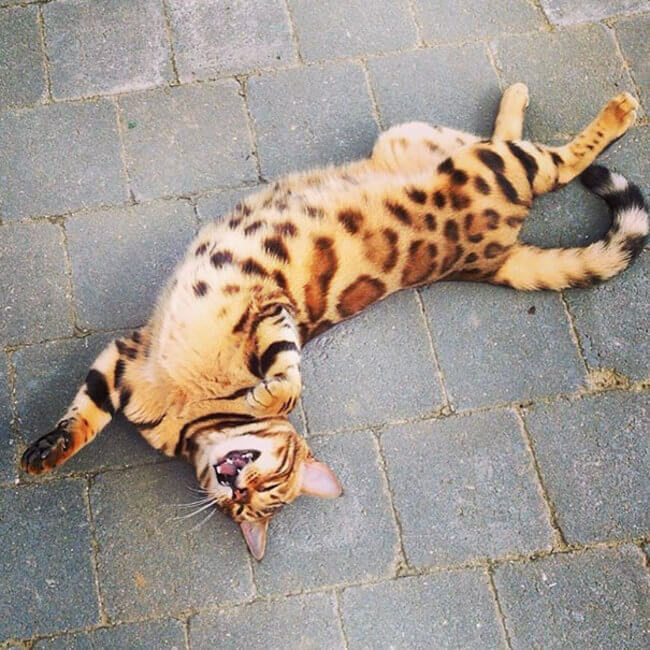 A Bengal cat might be the closest anybody comes to owning a tiger. 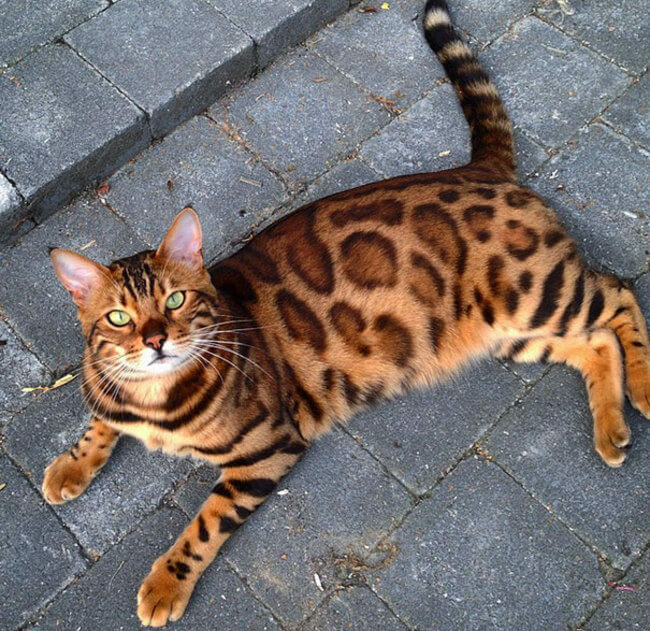 They’re really big for domestic cats but they’re incredibly beautiful. 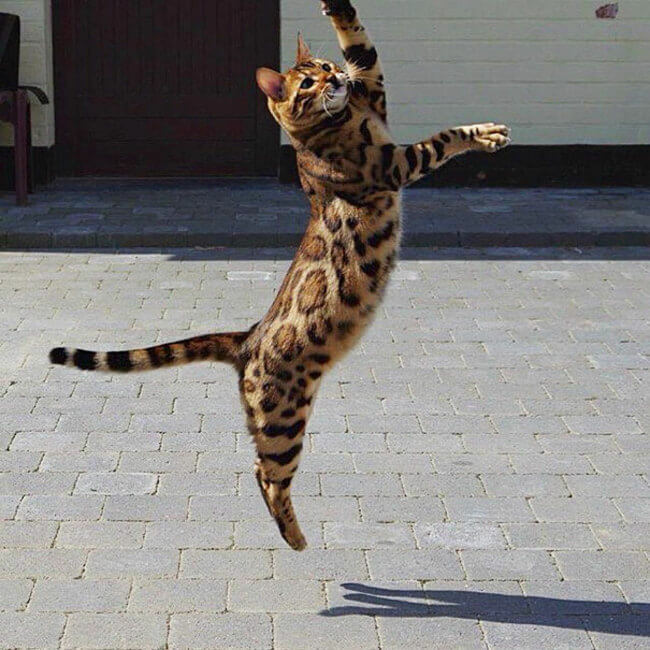 They’re agile, energetic and they’re downright athletes of the cat world. 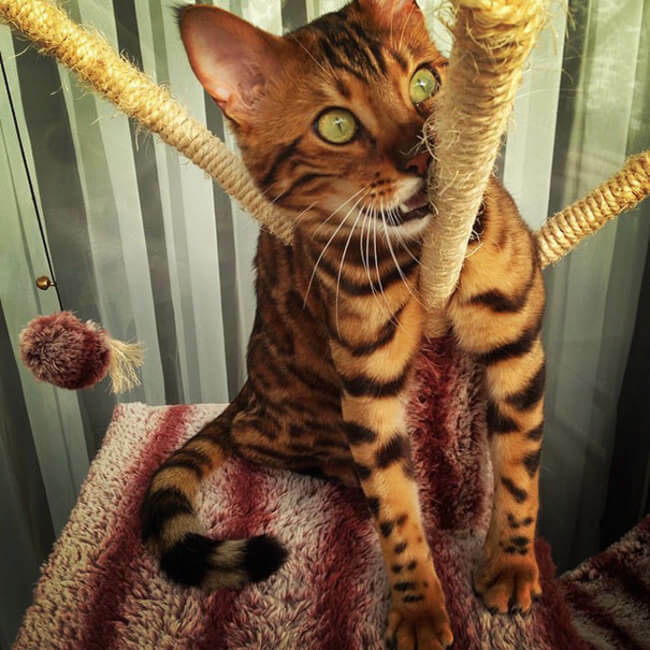 Bengals are strong and look like they belong prowling in the jungle. 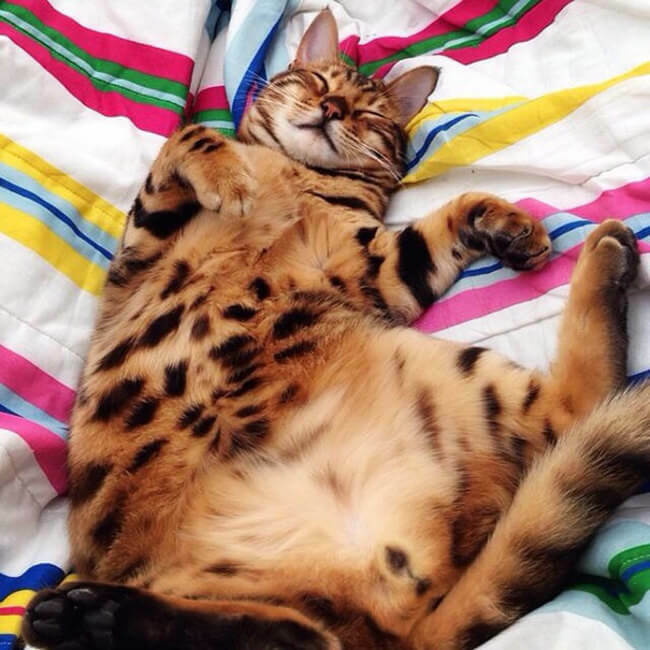 Though it looks to me like this kitty has the life that any domestic cat would love. 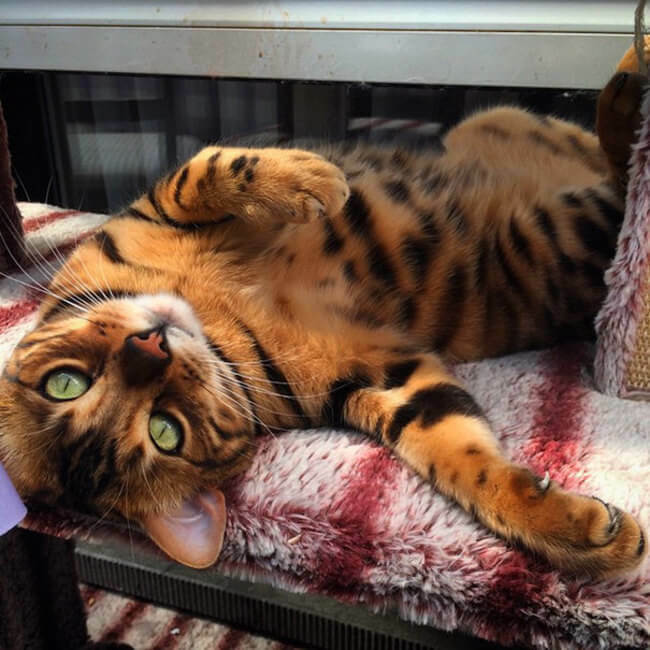 He gets plenty of belly scratches and has toys to play with like most domestic cats. If there’s one thing that all cats have in common it’s that they are our owners. “I definitely feel like his servant!” Thors owner told Board Panda. Thor just wants love, attention, food and his humans to bend to his will. He’s just like any other cat. 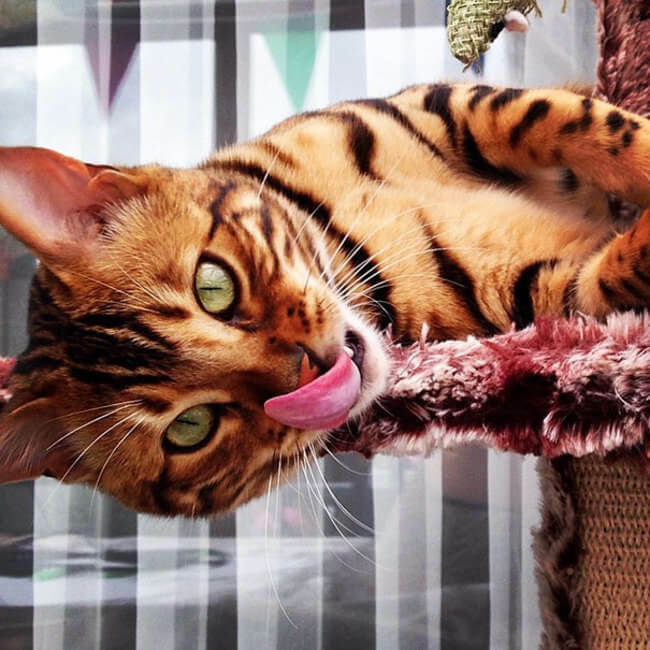 Check out the photos of this beautiful cat and let us know what you think in the comments.